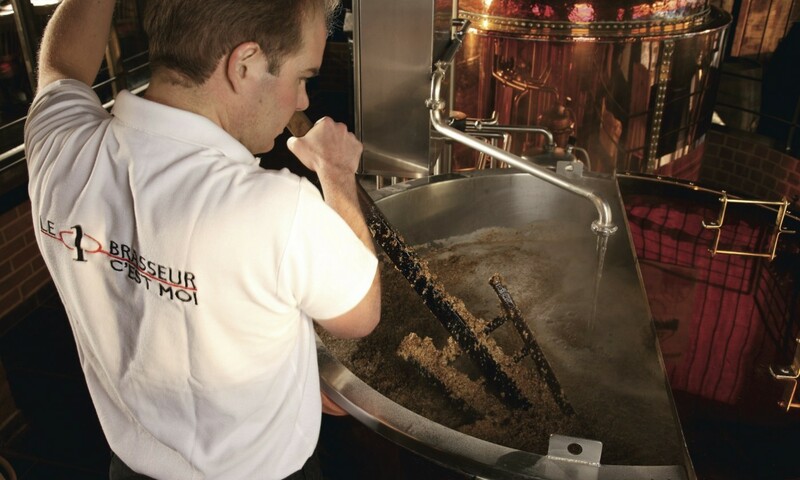 The malt and hops used in our recipes are carefully chosen by our brewer. 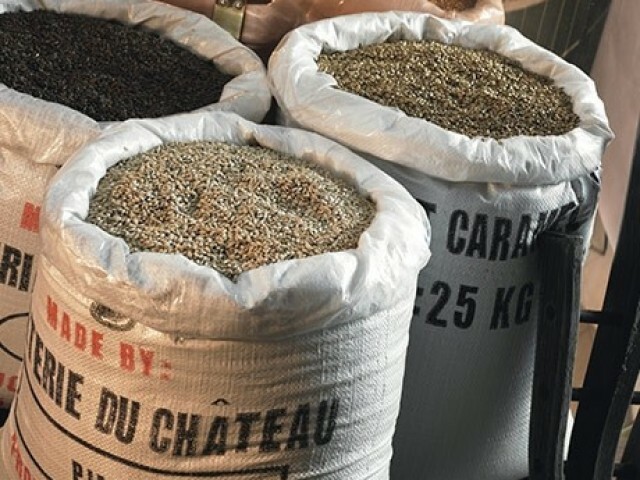 The hops provide bitterness to the beer and also increase the stability of the head. 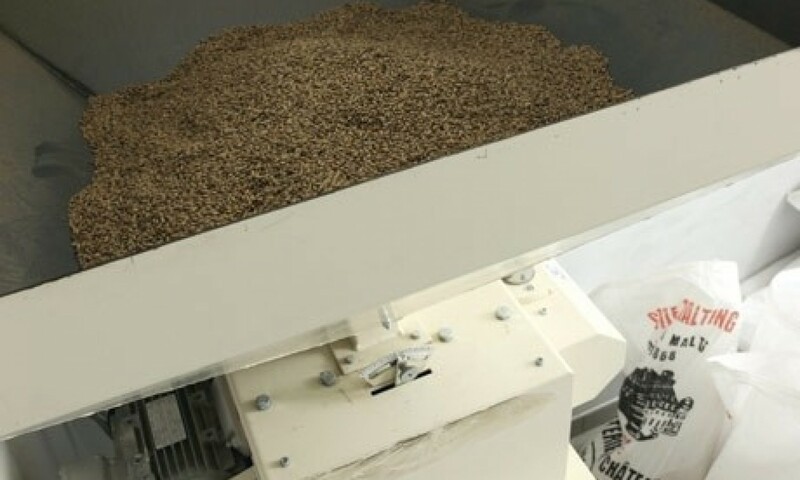 The malt is crushed. 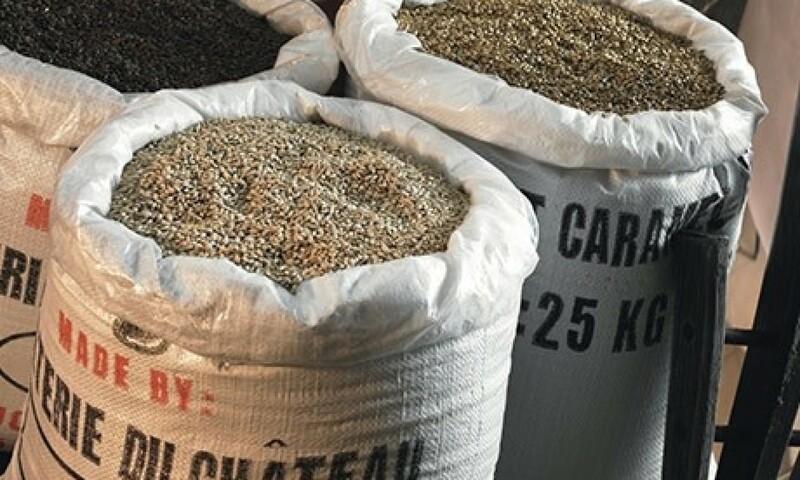 At the beginning of the brewing process, the crushed grains are added to hot water which creates a mixture called the mash. 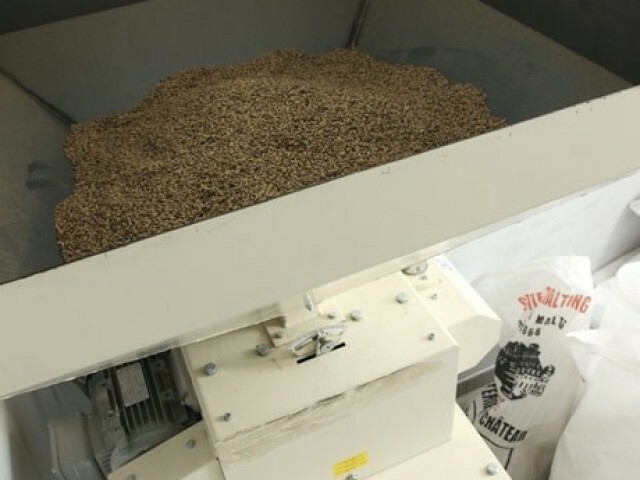 At 65°C, the natural enzymes of the malt will degrade the starch into fermentable sugars. 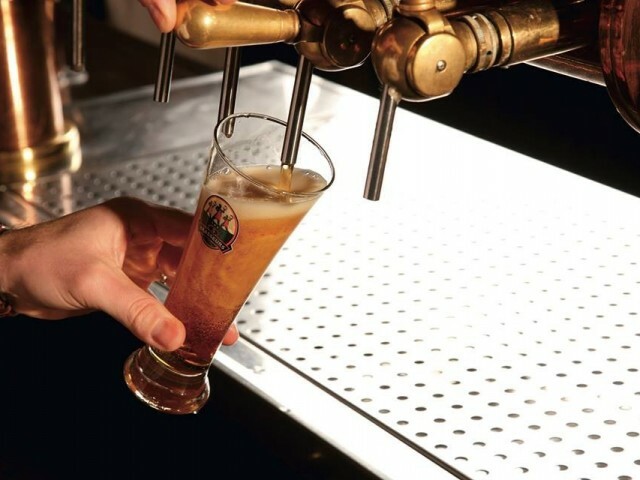 The resulting solution, the wort, is clearer and sweeter. After being heated to 100°C for 60 minutes, the wort is cooled and flavored with hop cones. It's then transfered to a fermentation tank. 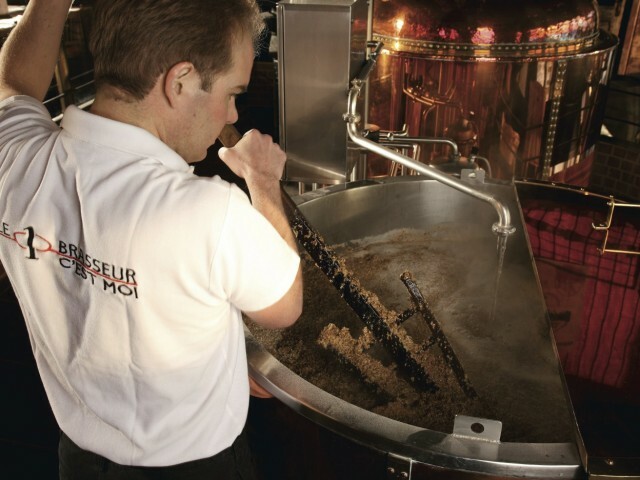 It's at this exact moment that the yeast is added. 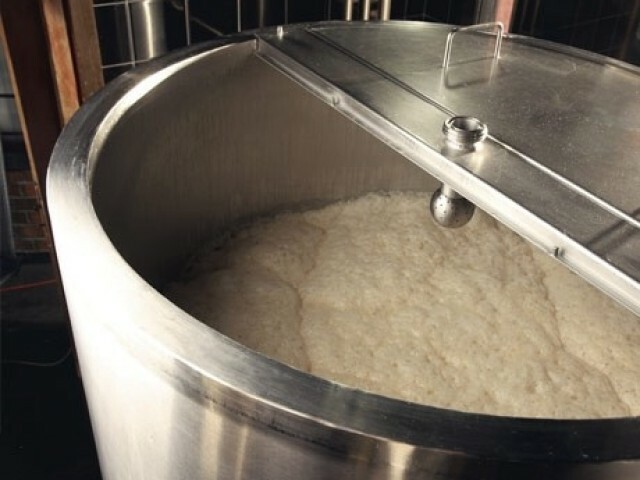 The wort is cooled and oxygenated to promote yeast growth. 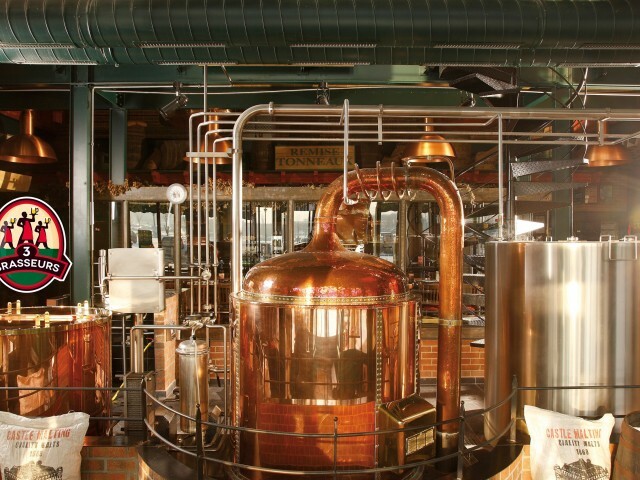 The yeast will convert sugars into ethanol but also into a multitude of alcohols and esters which form the bouquet and aroma of the finished beer. 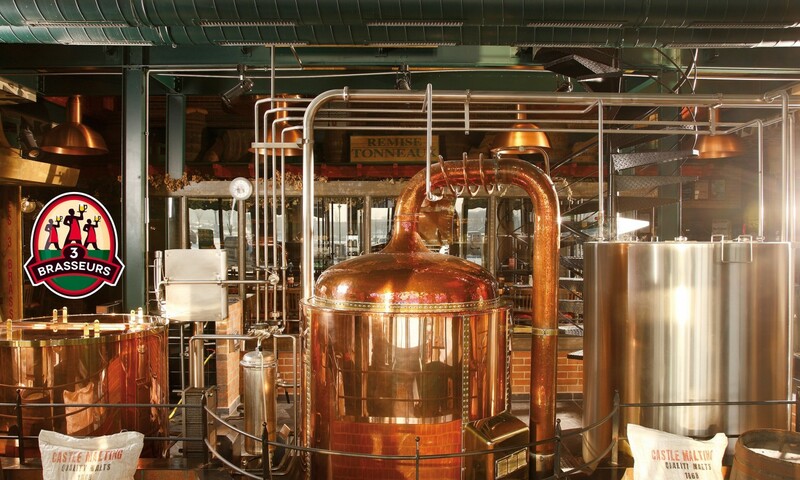 The wort becomes bubbly and is called green beer. 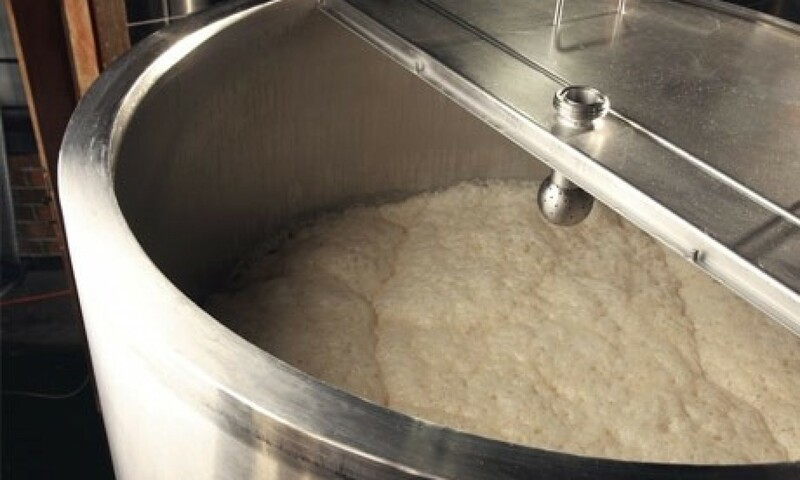 For several days, the beer sits, refines and clarifies in sealed tanks maintained under pressure at a temperature of 4 ° C. This period also allows the product to gain brilliance, roundness and softness . 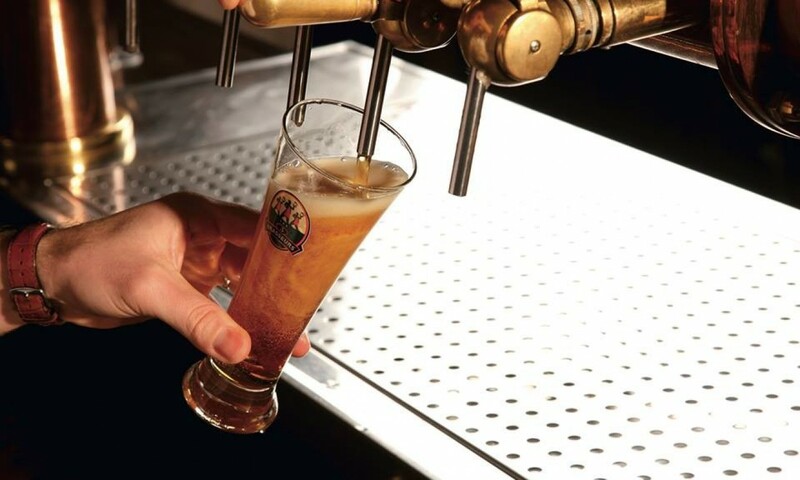 The carbonated beer has now become smooth to taste with a beautiful foam (head). It's drawn directly from the tank into your glass.